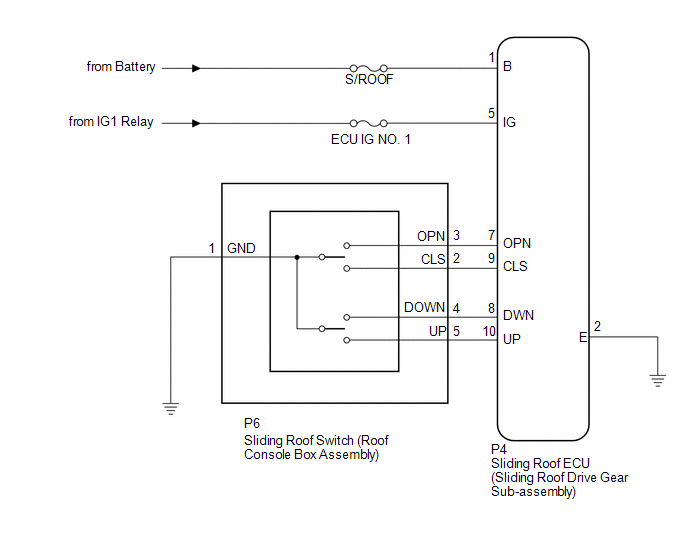 The sliding roof ECU (sliding roof drive gear sub-assembly) receives switch slide and tilt signals and drives its built-in motor. 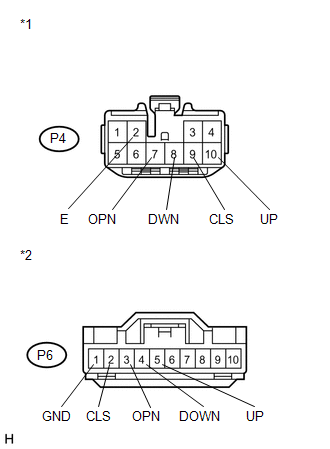 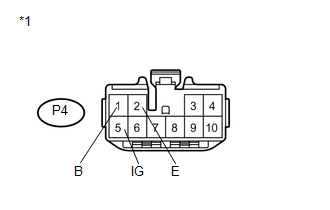 When the sliding roof ECU (sliding roof drive gear sub-assembly) is reinstalled or replaced, the sliding roof drive gear sub-assembly must be initialized (See page ). 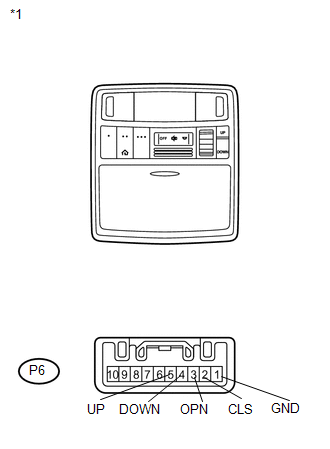 The Techstream display changes according to switch operation as shown in the table.